The monument commemorates the centenary of the birth of artist, Norman Lindsay. Norman Alfred William Lindsay (22 February 1879 – 21 November 1969) was an Australian artist, sculptor, writer, editorial cartoonist, scale modeler, and an accomplished amateur boxer. 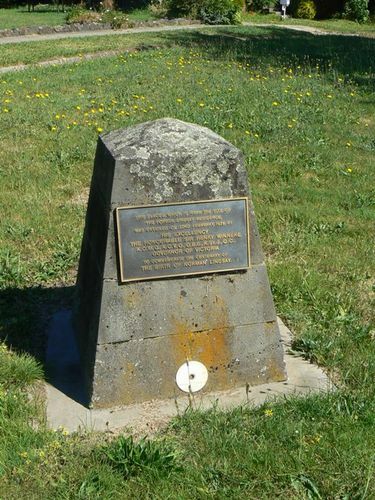 He was born in Creswick, Victoria.